LG will announce its PJ9 Bluetooth speaker at the CES(Consumer Electronics Show). LG PJ9 Bluetooth speaker battery will last 10 hours. It’s also IPX7 rated for outdoor use and supports MultiPoint technology to connect to two Bluetooth devices simultaneously. 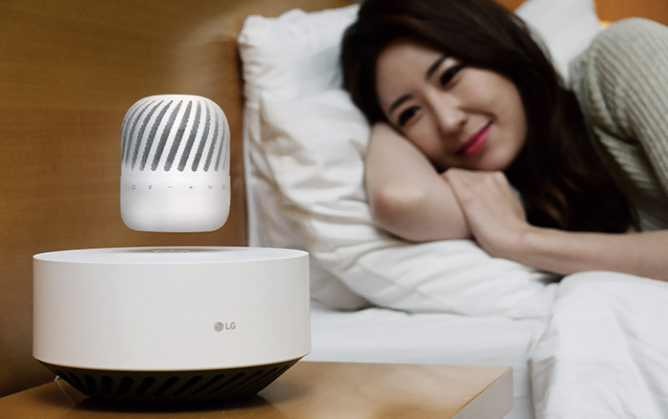 LG’s PJ9 levitating Bluetooth speaker features a 360–degree omnidirectional speaker with a turbine blade-inspired design, and deep bass courtesy of the subwoofer embedded inside the Levitation Station. The PJ9 also includes Dual Passive Radiator technology to reproduce flush mid-range tones and crisp highs. As far as battery life goes, the speaker can work up to 10 hours with a single charge. 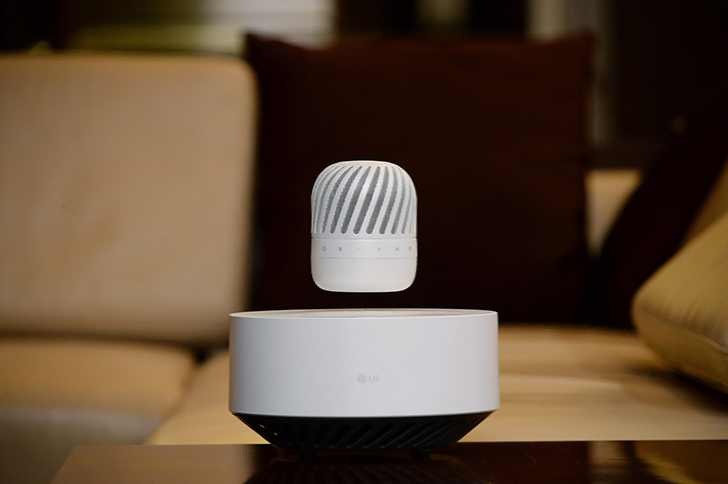 The speaker automatically descending to the Levitation Station to charge wirelessly with no intervention from the listener and no interruption in the music. Also, LG PJ9 is IPX7 compliant which means it should be splash proof. A new Multipoint technology will enable the speaker to connect to two Bluetooth devices simultaneously. No pricing info has been announced yet.